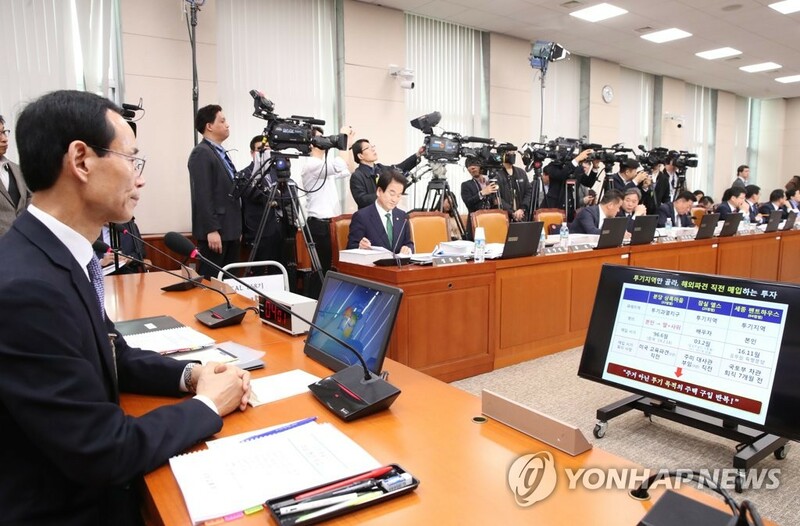 SEJONG, March 25 (Yonhap) -- The ministerial nominee who will oversee South Korea's housing policy said Monday that the government will push for measures to supply homes to those who want to buy a place to live. Choi Jeong-ho, who has been nominated to lead the Ministry of Land, Infrastructure and Transport, said the government will focus on measures to supply a sufficient amount of housing while remaining steadfast in stabilizing real estate markets. He made the comments at a parliamentary confirmation hearing in Seoul. Home prices had surged dramatically in Gangnam, Seoul's most affluent ward, and other coveted areas in the capital before the government unveiled a set of measures in recent years to rein in the housing market. The tightened regulations have led to a lull in the apartment buying spree, which in turn has stabilized prices in the capital city, home to about one-fifth of South Korea's total population of 51 million. In December, the government suggested that it would use all resources available to make sure that the prices of apartments -- the type of dwelling most favored by South Koreans --- will stabilize in the coming years. The centerpiece of the announcement is the supply of 155,000 homes in Seoul and adjacent areas and improved public transportation systems to ensure residents can commute to central parts of Seoul within 30 minutes, according to the ministry. Many South Koreans view apartments, especially those in Gangnam, as not just a home but as a means to get rich because apartments tend to steadily appreciate in value. Apartment prices in Gangnam -- a posh neighborhood in southern Seoul that gained global attention thanks to rapper Psy's 2012 mega hit "Gangnam Style" -- soared 110.9 percent between December 2002 and June 2018, according to data compiled by KB Kookmin Bank, South Korea's biggest retail bank. Also at the hearing, Choi offered an apology for what many critics claim might have been a speculative purchase of a home that he made in the past. The parliamentary confirmation hearing is widely seen as a formality because his formal appointment does not require endorsement from the National Assembly. In South Korea, prime minister is the only Cabinet post that requires parliamentary approval.